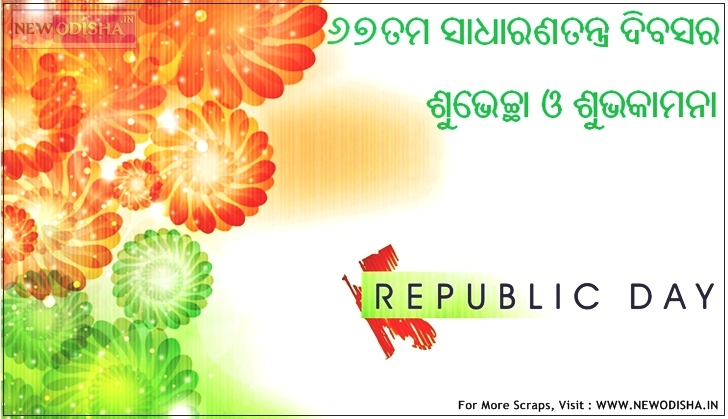 Here we have added some beautiful 67th Republic Day or 26 January Scraps or Images or Wallpapers or Greetings on New Odisha in Odia Language and we have also added some best Qoutes and SMS for the 67th Republic Day of India. 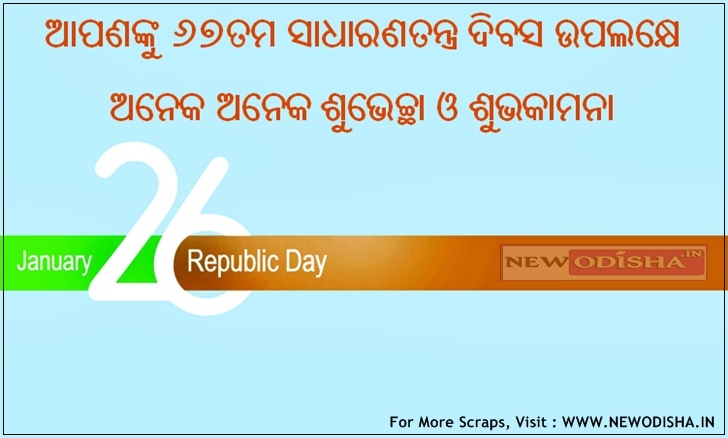 You can get the 67th Republic Day Odia Scraps here on New Odisha and you can share them on Facebook, Twitter or Whatsapp on Republic Day to wish your Friends and family. 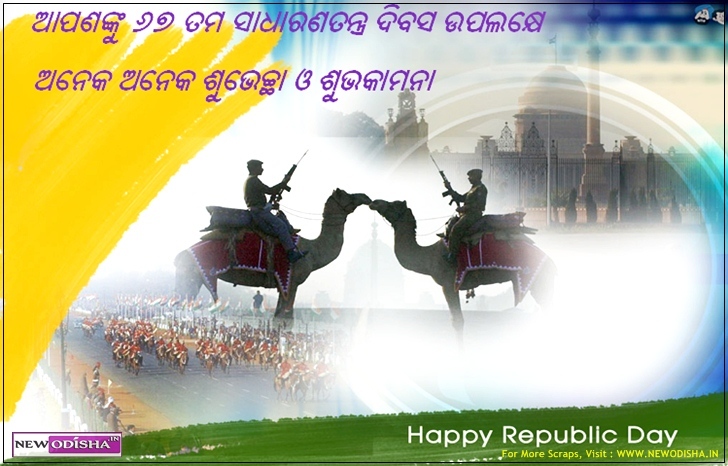 Give Responses for "67th Republic Day Odia Scraps, Images, Wallpapers and SMS"